Banana splits were never my thing as a kid. The banana part was awesome, and who doesn’t love chocolate and ice cream? But the sweet “fruit” syrups tended to drown the other flavors. So when I initially learned about National Banana Split Day (yes, that’s today! ), it didn’t phase me, until I saw an idea for a healthy banana split that used fresh fruit rather than those overly-sweet syrups. And then I thought, why stop with the fresh fruit? 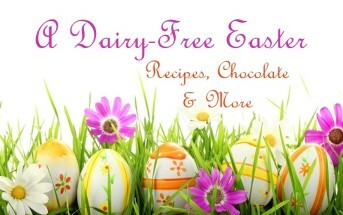 Wouldn’t these ingredients be fantastic with probiotic-packed dairy-free yogurt? Indeed they are. But yogurt doesn’t scoop the way ice cream does, so I turned the whole concept on its head, and made a healthy banana split parfait! When made as pictured, this recipe is vegan, vegetarian, egg-free, gluten-free, peanut-free, soy-free, and of course, dairy-free / non-dairy. 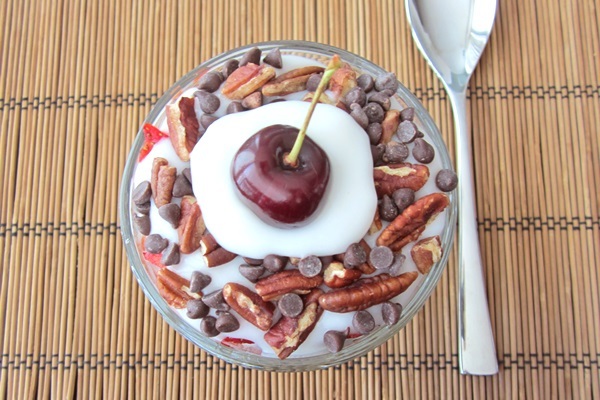 Nut-free Option: There are so many ways to make this healthy banana split nut-free! 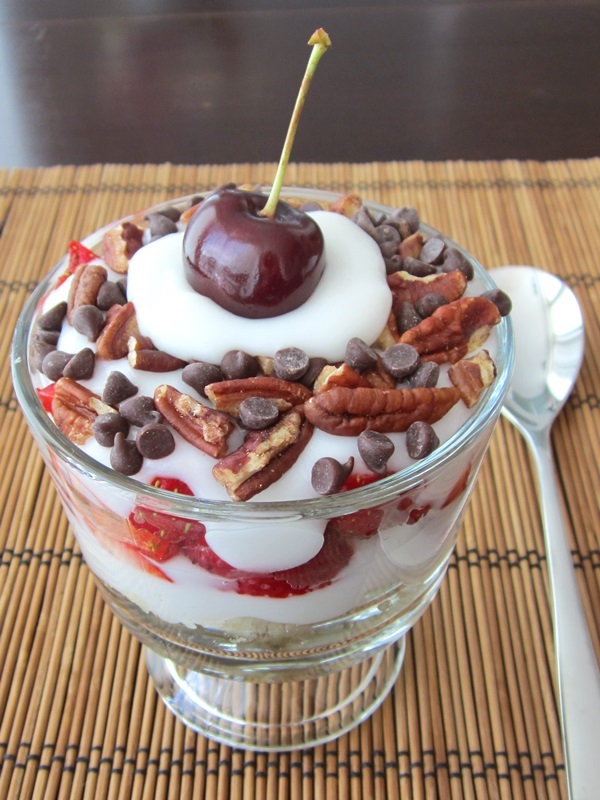 First, stick with a dairy-free, nut-free yogurt. Then, you can simply omit the nuts, or pick another tasty nut-free topping to replace it. 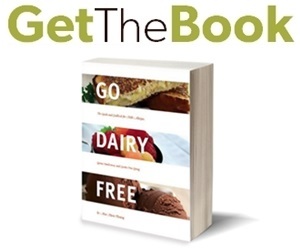 Some ideas include nut-free granola, sunflower seeds, ground flaxseed, crispy whole grain cereal, or some allergy-friendly cookie crumbles (if this is for dessert!). Divide the banana between 2 parfait glasses (hi-ball glasses work in a pinch). 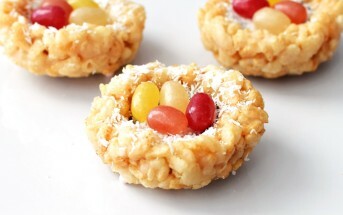 Top each with ¼ cup of the yogurt. 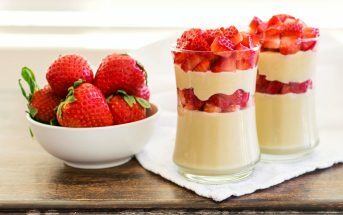 Divide the strawberries between the two glasses, to top the yogurt. Top each with another ¼ cup of the yogurt. Sprinkle on the nuts or granola and the chocolate chips. 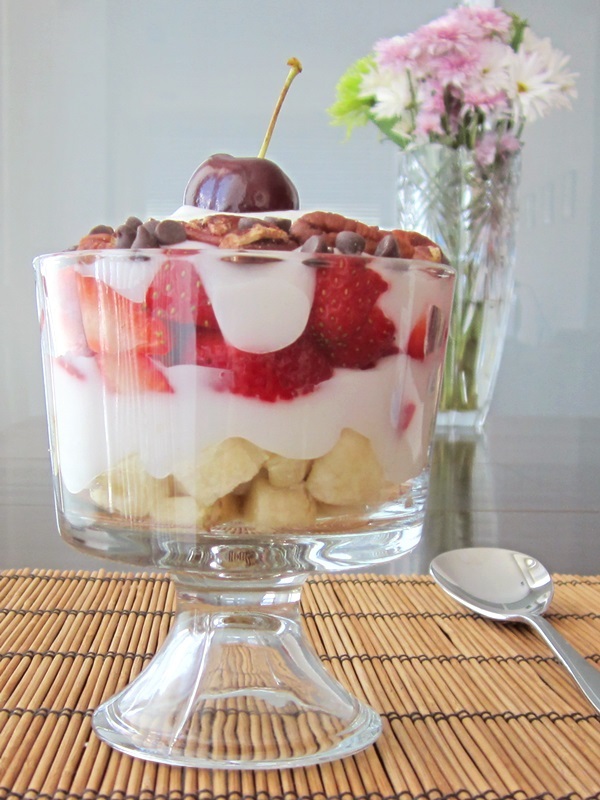 Add a tablespoon dollop of yogurt atop each and nestle a cherry in each to serve. What about the Pineapple? For a more traditional banana split vibe, add a layer of chopped fresh pineapple. We just prefer it without. Love this idea! I’m almost ready to start making my own homemade dairy-free yogurt, and when I do this will definitely be something I want to try!